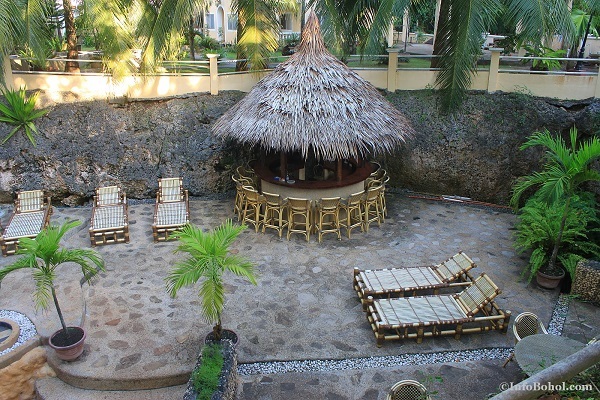 The Sun Apartelle Resort Hotel is a resort-apartment-hotel situated along the pristine white sand of Alona Beach on Panglao Island. 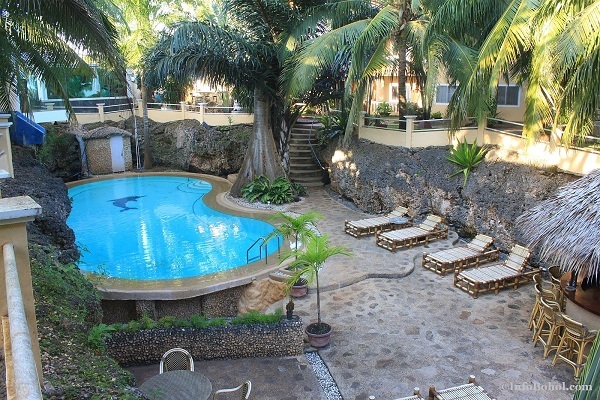 The resort was opened in the year 2001 under German management and offers exclusive and comfortably furnished apartments and first-class services. The well-landscaped resort has provided a below ground swimming pool, a restaurant, and a full liquor and cocktail bar. Provided also is a “Sun Divers” dive shop and a reception area where various items are sold from personal toiletries, souvenir items to his and hers beach and leisurewear. CD’s, VCD’s, and DVD’s with player are available for rent at the reception area. 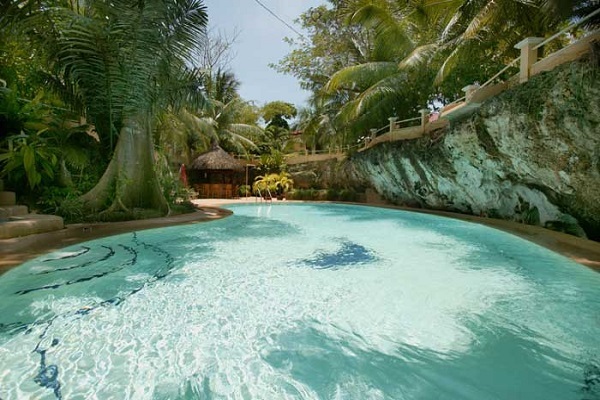 The Sun Apartelle Resort is located at Tawala, Panglao Island, Bohol, Visayas 6340, Philippines. 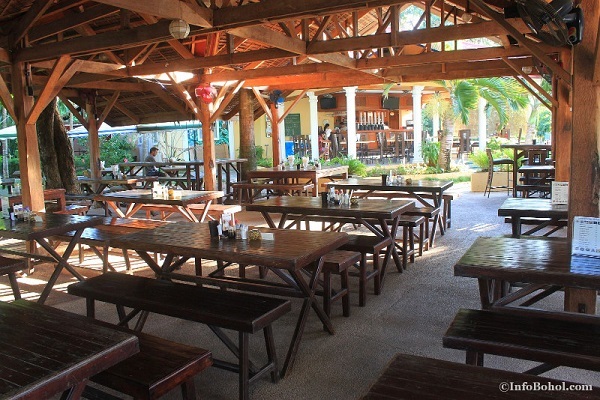 It is located on Alona Beach, an 800 meter stretch of white powdery sand. 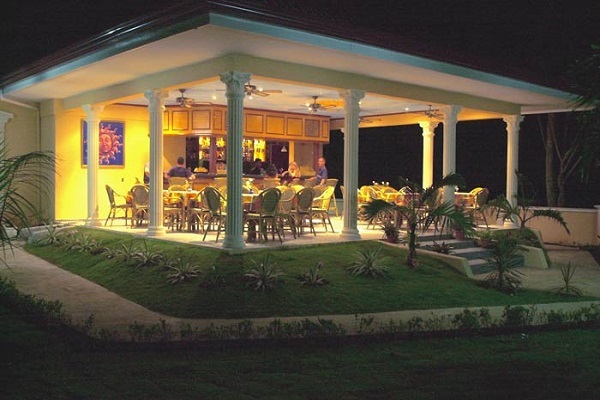 Alona Beach is located in the south of Panglao Island. Panglao itself is south west of Bohol. It is only 18 kilometers or 30 minutes away from Tagbilaran City, the one and only city of the province. All apartments are protected with window screens to keep mosquitos and other insects at bay. Apartments are all fully air-conditioned though a large ceiling fan is provided above the beds for those who prefer it. All apartments either have a balcony or terrace facing a well-tended garden with old tropical trees. Bedcovers and linens are changed every two days. 2-Beds Apartment The 56 square meter apartment is provided with 1 queen-sized bed complete with bright colored bedcovers and linens and bedside tables with lampshades on both sides of the bed. It has a living room with sala set, a fully equipped kitchen with oven, refrigerator, large aluminum sink, cooking and eating utensils, and cupboards and cabinets. The bathrooms have light colored tiles, mirror, space for personal toiletries, hot and cold shower. The Apartment can accommodate two persons only. 3-Beds Apartment The 56 square meter apartment is provided with 1 queen-sized bed and 1 single bed and can accommodate up to 3 persons only. It has the same provisions as the 2-bed apartment. 4-Beds Apartment The 56 square meter apartment is provided with 1 queen-sized bed and 2 single beds to accommodate up to 4 persons only. It has the same provision as the 2-beds and 3-beds apartments. Family Suite The large suite is provided with 2 bedrooms. The master bedroom has a king-sized bed with feather kernel mattresses. There are 2 bedside tables with lampshades, elegant curtains at windows and a curtain over the headboard for a royal effect. Yellow painted walls are decorated with framed pictures while ceilings are provided with decorative lighting fixtures. The second bedroom is provided with 2 double-decked beds with mattresses and colorful bedcovers and linens plus a bedside table with lampshade. A living room is provided with 2 large velvet covered sofas, a corner table with lampshade, an elegant center table on top of a red carpet, a TV with CD and VCD players. The dining room shows a rectangular 6-seater dining table with upholstered seats located near the fully equipped kitchen with cupboards and cabinets. The tiled bathroom has a glass-covered bath with sliding doors and hot and cold shower. An open floor to ceiling cabinet for towels is provided. The sink seats elegantly on top of a well-designed cabinet with a large mirror above it. A modern toilet seat is provided a few inches away from the sink and the bath. 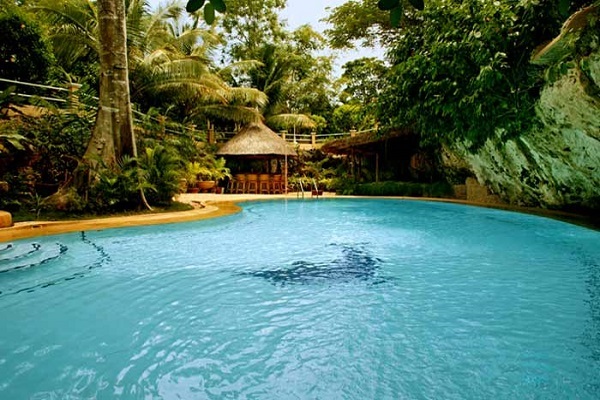 The freshwater swimming pool is situated in a natural grotto with a waterfall in the middle of the resort. Indirect lighting at the swimming pool gives a romantic effect especially in the evenings. 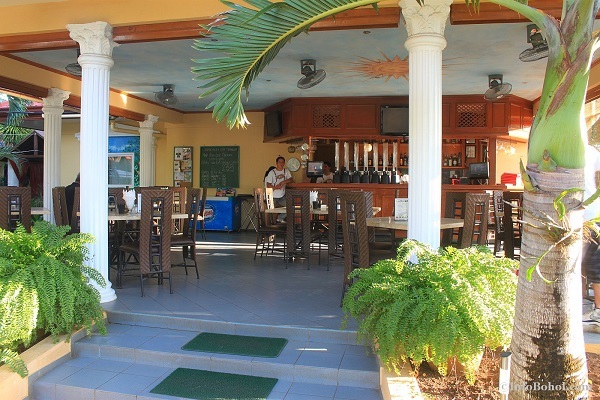 Tables, chairs and sun beds are provided around the pool area. Guests using the pool are provided with special bath towels. The Reception Area is located at the entrance area of the resort. Sold here are toiletries, souvenir items, his and hers beach and leisurewear. 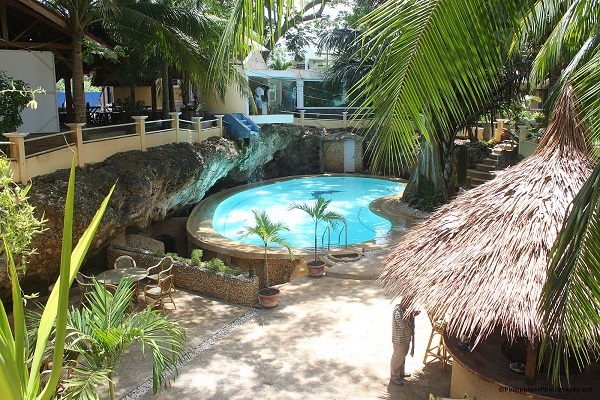 Guests can avail of Internet Access, IDD Telephone, and facsimile machine here. A book shop is available, with books mostly in English and German languages, and a range of different games. Staffs are able and ready to help in travel arrangements, ticket confirmation, tours and foreign cash exchanges. The Swiss Bamboo House Resort offers laundry services which include ironing, airport and port transfers, and tour services. The Filipinos, Boholanos in particular, are warm, hospitable, and friendly to the extent that they deprive themselves of comfort and the best food and offer the same to their guests to make them feel at home. Heartily they share whatever little they have to their guests. This warm, effusive brand of hospitality is what distinguishes Philippine hotels from the others. So it is with Sun Apartelle Resort Hotel. Aside from luxurious accommodations and beautifully landscaped gardens, the staffs are known to be warm, friendly, hospitable, discreet yet efficient. The whole place exudes the warmth of a true home where you can unwind, relax and rejuvenate. Visit and enjoy what Bohol offers: rolling hills, lush forests, grassy meadows, white sandy beaches and waters rich in marine life from schools of tiny reef fishes to bigger pods of dolphins and whales. Avail of this wholesome offer . . . a priceless gift of the Boholanos to you!